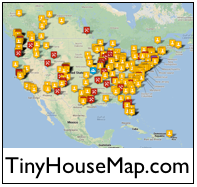 Tiny House Q&A: Where can I find a local small house builder? Q: Where can I find a local small house builder? A: On our website we have a directory of designers and builders, as well as a listing of local contacts. However, because the small house movement is still relatively new, it’s unlikely that there’s a small house builder located in your community. What people typically do is contact a local contractor or local builder in their area. That person can be the local builder and work with house plans from one of the national designers. Even if they don’t have extensive experience building tiny homes, they have the tools and experience needed. Another option would be to purchase a ready-made tiny house and have it delivered to you (or go get it from a builder). The clean lines and minimalist design of shepherd huts make them highly desirable as tiny homes. Although small in size, their open and spacious interior accommodates a variety of changing floor plans for multiple uses throughout the day. With plenty of windows and available wall space, there is plenty of natural light, and a feeling of openness to the world around you. The photos below show interiors of various shepherd huts that people have designed. Because of their practical and simple design, when properly constructed, shepherds huts can be very low maintenance. They typically have metal roof design, and some have metal siding as seen in the examples below. Rebecca and Larry Cameron of Northern Michigan have been shepherd hut enthusiasts for years, and after extensive research into their design, they now offer some of the finest quality shepherd huts in North America. Their business is Pixie Palace Hut Company. Their shepherd hut design is shown below. In creating a dwelling for year-round use, it’s important to have plenty of insulation. Below you can see the flooring insulation in Rebecca and Larry’s shepherd hut design. Because of their relatively light weight, one-level design, and low profile wheels, the shepherd hut can be transported using a standard vehicle trailer as shown below. The maps below show some of the visits to this page from around the world in the first few hours after posting the article. This suggests a broad interest in shepherd huts. Here are some resources mentioned in the video for further reading and research. 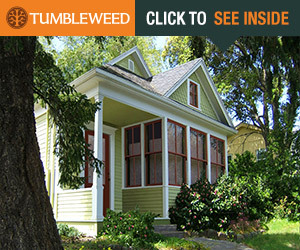 We want to welcome Tennessee Tiny Homes to our directory of tiny home designers and builders. Learn More. 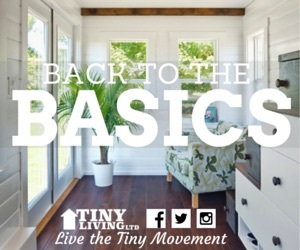 Take a moment to visit and like the Tennessee Tiny Homes Facebook page. Photos. Enjoy a few selections below from their website. Click any image for a larger gallery view.